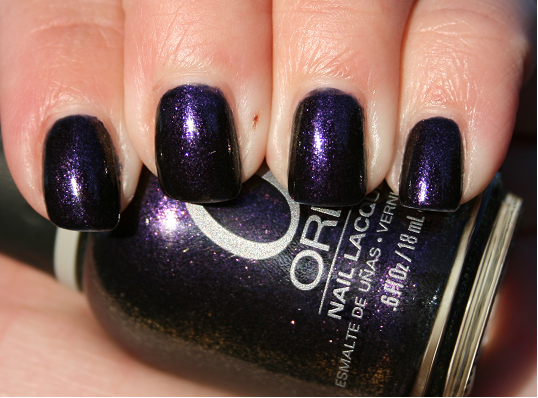 This is from the Cosmic collection and is described as "a deep purple base with shimmer flecks of violet purple and green gold". My light was not all that great this morning when I took this shot before work, but I think you can still see how gorgeous this is. I don't think the "green gold" flecks are that apparent, but it is still beautiful. that was the first one I picked from that collection. It is stunning! I'm a sucker for a deep purple! Love it!! !